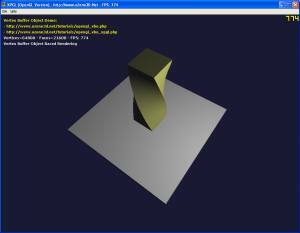 The demo shows the use of Vertex Buffer Objects for an ultra-fast rendering of polygonal meshes. 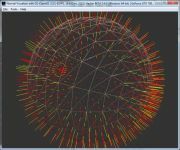 The VBOs are used in GL_STATIC_DRAW mode and the box deformation is performed by a GLSL shader. For the sake of comparison, the demo is shipped in two versions: one using VBOs (XPGL_Demo_vbo.exe) and the other using regular Vertex Arrays (XPGL_Demo_va.exe). Page generated in 0.0027358531951904 seconds.